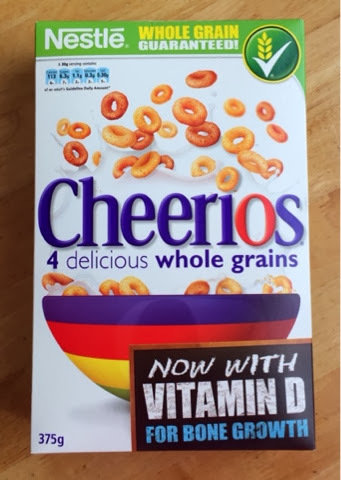 We were recently sent a box of Cheerios to review, and we were really excited to try them as they now contain the sunshine vitamin, Vitamin D, which is essential for maintaining healthy bones and bone growth..they also contain 4 whole grains and other vitamins and minerals such as Vitamin C,Vitamin B6, Folic Acid and Calcium etc. 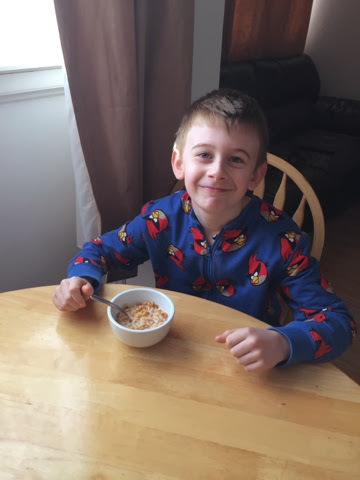 My Son has really been enjoying waking up to his yummy bowl of Cheerios with ice cold milk every morning...which has been a great way to start his day..and for me as a mum its good to know he is enjoying a tasty breakfast containing so much goodness especially vitamin D.....one serving of 30g provides him with 18% of the recommended daily intake of Vitamin D and calcium and one serving of whole grain..since we do not get much sun in the UK in the winter months..this is a great way to help keep the vitamin D levels topped up..we will definitely be buying these in the future and we are looking forward to trying the Chocolatey Cheerios next. 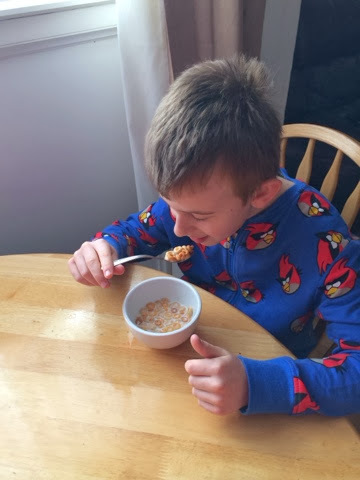 Disclosure: we were send a box of Cheerios to review, all thoughts and opinions are our own. Labels: breakfast, Calcium, Cheerios, healthy, vitamin D, yummy.